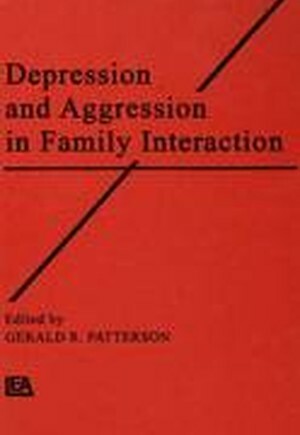 This collection updates research on family processes relating to aggression and depression. It contains state-of-the-art information and such recent methodological innovations as time series, sequential analysis, and method problems in the application of a structural equation modeling. An ideal supplementary text and reference for graduate students and professionals in clinical, social, environmental, and health psychology, family counseling, psychotherapy, and behavioral medicine. Contents: D. Reiss, J. Schulterbrandt, The Family Research Consortium: At the Crest of a Major Wave? S.G. Kellam, Developmental Epidemiological Framework for Family Research on Depression and Aggression. R.J. Gelles, Methodological Issues in the Study of Family Violence. J.M. Gottman, How Marriages Change. A. Biglan, L. Lewin, H. Hops, A Contextual Approach to the Problem of Aversive Practices in Families. W.A. Griffin, J.M. Gottman, Statistical Methods for Analyzing Family Interaction. M.R. Yarrow, Family Environments of Depressed and Well Parents and Their Children: Issues of Research Methods. H. Hops, L. Sherman, A. Biglan, Maternal Depression, Marital Discord, and Children's Behavior: A Developmental Perspective. G.R. Patterson, M.S. Forgatch, Initiation and Maintenance of Process Disrupting Single-Mother Families. L. Bank, T. Dishion, M. Skinner, G.R. Patterson, Method Variance in Structural Equation Modeling: Living with "Glop." I.E. Sigel, E. Blechman, Reflections: A Conceptual Analysis and Synthesis.